What is full spectrum hemp extract? Full-spectrum hemp extract is growing in popularity as an alternative remedy for a wide range of needs. It is important to know that hemp does not produce an altered state of consciousness because the levels of THC are far too low; however, consumers still often confuse hemp seed oil with full-spectrum hemp extract. Three decades ago scientists identified and mapped two groups of molecules, known as receptors, in the CNS (central nervous system) and in the immune system that help cannabinoids bind to cells. They found that the brain already contains small amounts of its own naturally occurring cannabinoids that also bind to these same receptors (CB1 and CB2). Full-spectrum hemp extract is one of the cannabinoids that assists in essentially unlocking the incredible healing power of these receptors in the endocannabinoid system. Full-spectrum hemp extract is a non-psychoactive combination of cannabinoids, omega fatty acids, lipids, terpenes, and plant matter. It is responsible for many of the health benefits attributed to cannabis. Our proprietary full-spectrum hemp extract formulations are cultivated from the highest quality ingredients and are consistently tested for their potency and purity. We do not sell marijuana or any products that contain more THC than the legal amount which is less than 0.3%. Is full-spectrum hemp extract legal in all 50 states? In 2004, the 9th US Circuit Court of Appeals ruled that the naturally occurring cannabinoids contained in non psychoactive varieties of cannabis (industrial hemp) are outside of the regulatory power of the DEA after the DEA attempted to enforce a zero tolerance policy on the trace amounts of THC contained in Hemp products being sold at the time, such as nutritional hemp seed oil. One can view these trace amount of THC being very similar to the trace amount of morphine and codeine found within poppy seeds used for baked goods. This zero tolerance policy was challenged by the HIA (Hemp Industries Association) who won the ruling in 2004, which was subsequently left unchallenged by the Bush administration and DEA. Industrial hemp is defined internationally as having 0.3% THC or less by dry weight. Is full-spectrum hemp extract psychoactive? Full-spectrum hemp extract is non-psychoactive because it does not act on the same pathways as THC. These pathways, called CB1 receptors, are highly concentrated in the brain and are responsible for the mind-altering effects of THC. A 2011 review published in Current Drug Safety concludes that full-spectrum hemp extract “does not interfere with several psychomotor and psychological functions.” The authors add that several studies suggest that full-spectrum hemp extract is “well tolerated and safe” even at high doses. Don’t you need THC to synergize with full-spectrum hemp extract? There is absolutely no reliable scientific evidence that THC is necessary to synergize the effects of full-spectrum hemp extract in the body. Why can’t I find any information on your site about the benefits of taking full-spectrum hemp extract? While we would LOVE nothing more than to saturate our pages touting the amazingness of full-spectrum hemp extract, it is not in our best interest to do so at this time. The world of legalized full-spectrum hemp extract is fairly new and yet to be regulated by the FDA. As a result, in accordance with US regulations we cannot make health claims regarding our full-spectrum hemp extract. We do however, highly encourage you to conduct your own research as there are endless resources available online and elsewhere. Thank you for understanding. Is full-spectrum hemp extract safe to carry through an airport? While full-spectrum hemp extract is legal in all 50 states, and our team repeatedly carries large quantities with us while traveling, we cannot guarantee that you will not get questioned at the airport. We always recommend erring on the cautious side for the time being. We are not responsible for any decision you make regarding this topic. What should I expect to feel while taking full-spectrum hemp extract? Some people report feeling an overall sense of calm throughout their body. Others report very subtle to no physical sensation from taking full-spectrum hemp extract. What you experience on full-spectrum hemp extract is highly dependent upon your own inherent biological makeup and how sensitive you are to sensations in your body. You can also view it like taking NSAIDs. If you experience physical symptoms and take an NSAID, your body will likely respond by decreasing your level of pain. Similarly, this concept can be applied to taking full-spectrum hemp extract products. How long will it take for me to start feeling/receiving the benefits from full-spectrum hemp extract? The answer to this question will be different for everyone, and every circumstance. Most individuals report feeling relief from various symptoms immediately, while others report that it takes up to 1-2 weeks to begin to see results. We have observed that full-spectrum hemp extract builds up in the body over time. Are there any known side effects from taking full-spectrum hemp extract? Currently, there are no known side effects from taking full-spectrum hemp extract. Will full-spectrum hemp extract negatively interact with other medications? If you are taking medication, please consult with your doctor prior to taking full-spectrum hemp extract. This entirely depends upon why you are wanting to take full-spectrum hemp extract. A good place to start is 1-2 servings per day. It is recommended to increase or decrease slowly until optimal effects are reached. We generally suggest experimentation. What seems to be effective may vary greatly depending on the individual. Your body will build up a storage of full-spectrum hemp extract in the body, which is unlike most chemicals. Unlike alcohol, which is usually absent from the bloodstream and body within 24-48 hours after ingestion, full-spectrum hemp extract is fat soluble and may stay bound to the cells of the body for weeks. This is important to know because after a few weeks of using full-spectrum hemp extract a lesser amount may be just as effective as the original serving amount. Is it possible to take too much full-spectrum hemp extract? Currently, there are no known cases of overdosing with full-spectrum hemp extract. What are the benefits of full-spectrum hemp extract? We cannot make claims as to the usefulness of full-spectrum hemp extract for therapeutic treatments. We highly encourage you to conduct your own research and to contact your physician prior to usage. Is full-spectrum hemp extract safe? Unlike THC, full-spectrum hemp extract does not cause a high. Several studies suggest that full-spectrum hemp extract is well tolerated and safe, even at higher doses. What method of extraction do you use? We use CO2 extracted full-spectrum hemp extract in our products. CO2 extracted full-spectrum hemp extract is made by pushing C02 through the hemp plant at high pressures and low temperatures. This process is often thought of as the best and safest as it cleanly extracts full-spectrum hemp extract, removing substances like chlorophyll. Full-spectrum hemp extract extracted in this way has a cleaner taste, but it is a more expensive method than alternatives. 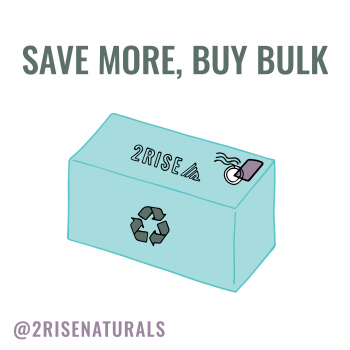 Why choose 2Rise Naturals products? High Quality Sourced full-spectrum hemp extract: We recognize that the world of full-spectrum hemp extract is new and confusing. Sometimes it’s even confusing to us! But we’ve become so passionate about sourcing the highest quality full-spectrum hemp extract we can find so that you never have to wonder. We always send samples to third party labs for accurate testing and we have no issue sending the material back to the farmer when the product isn’t quite right. More and more, farmers are able to certify their hemp as biodynamic and we prefer to pay the premium to use this quality of full-spectrum hemp extract in our products. 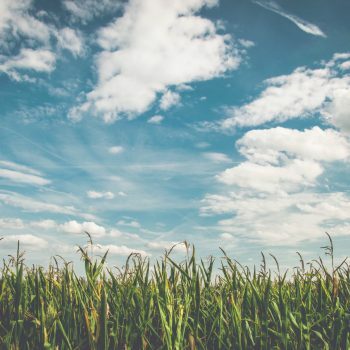 In fact, we are so excited about the endless potentials for utilizing hemp(clothing, housing, paper replacements, alternative fuel, food, and medicine) that we are making plans to collaborate with a hemp farm to further the progression of making hemp a more popular alternative resource. -Dedicated Team: Our entire team are nature loving health enthusiasts who are tirelessly committed to providing the purest products possible. We combine research from ancient medicine practices and cutting edge discoveries with a team of highly qualified individuals including a nutraceutical formulator, a biochemist, an herbalist, and a few biohacking intuitive minds to craft our beloved products. What concentration of full-spectrum hemp extract do you use? While you can find almost any percentage of full-spectrum hemp extract on the market, we prefer to use lower percentages in our formulas. This might sound counterintuitive however, we are a company that prides itself on providing the most natural, high vibe ingredients as possible and we feel that using the lower percentages of full-spectrum hemp extract is how it’s done. We strive to use ingredients that come as close as possible to the way nature created them. For example: A 20% full-spectrum hemp extract concentration is going to have so much more of the whole plant medicine in it than a super-processed 99.7%+ CBD isolate powder. The 20% extract is going to have all kinds of beneficial omega fatty acids, terpenes, chlorophyll, and other cannabinoids to provide what;s commonly known in the industry as the “Entourage Effect”. All of these botanical components create a much greater, more natural medicinal effect in the body. And for clarity’s sake, a 20% concentration doesn’t mean there’s any less full-spectrum hemp extract in the final product than one with a 99.7% concentration. It just means we have to add nearly five times the amount of raw full-spectrum hemp extract material to the formula. Why go after one cannabinoid when you can get several PLUS many more incredibly healing components of the hemp plant? It’s a no brainer for us! Our raw material is sourced from local farms in Colorado. We only source our oil from farms that use strict organic farming practices. We test all of our raw material and finished products to ensure there are no pesticides or herbicides present. Outdoors in sunny Colorado, just as mother nature intended! Every batch is 3rd part laboratory tested and then custom formulated to ensure accurate cannabinoid content. Are your products approved by the FDA? No. None of our products have been approved by the FDA. You may return any unopened products within 14 days for a full refund. Yes! We have several options to get involved with our company. Please contact us for more details.